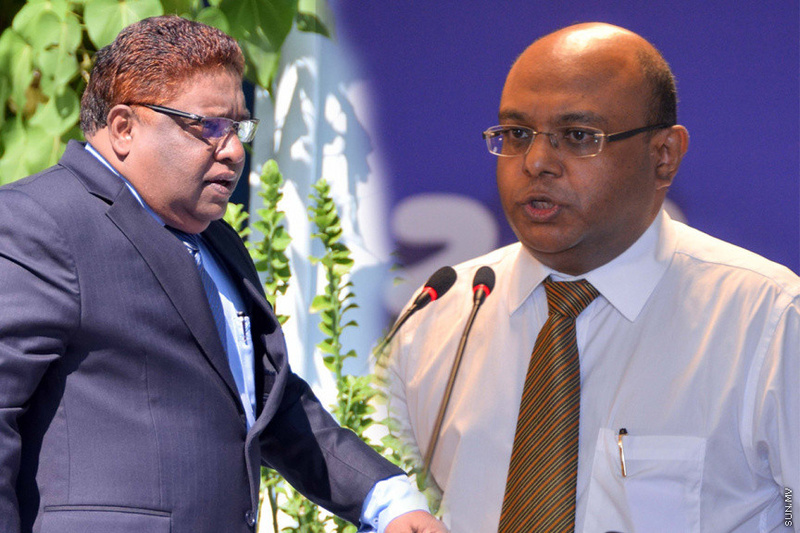 From Left: Supreme Court Judge, Ali Hameed Mohamed and Chief Justice, Abdulla Saeed - Sun file photo. The hearings in the appeals made by the two judges of the Supreme Court who were sentenced to prison after being convicted of influencing official procedures have come to a close at the High Court. Criminal Court sentenced the Chief Justice, Abdulla Saeed and the Supreme Court Judge, Ali Hameed to 19 months and six days in prison. The sentence was passed after the court found that the two judges have been influencing lower courts to reach a certain verdict from 2016 to 5 February 2018. At the final hearing at the High Court today, the defence counsels presented a 15-point summary of their case. And the prosecutors responded to the summary. And so in the appeal case of Chief Justice Abdulla Saeed, his lawyer, Noorusalaam Abubakur said that four degrees were raised in sentencing without any basis. Responding to the comments, Senior Public Prosecutor General, Ahmed Thaufeeq said that the Criminal Court did not give the opportunity to the state to discuss the sentence either. The state prosecutor said that the degree of punishment can be raised for obstructing or damaging an institution and the Chief Justice and Ali Hameed, as the top two figures in the Maldivian Judiciary, are valid to raise the degree of punishments. At this point, the bench presiding over the appeal took a recess to research the matter and came back to declare that raising the punishment by three degrees in these cases are legitimate. However, Prosecutor Thaufeeq said that the state believes it can be raised by two degrees. The judges on the bench for the appeal is led by Judge Abdulla Didi and accompaying him are Judge Abdul-Ghanee Mohamed and Judge Ali Sameer.